Derreennascooba, County Mayo, 1848-1849. John F. Foy was born on a farm in Derreennascooba in 1848 to Dominick and Anne Walsh Foy, both age 28. 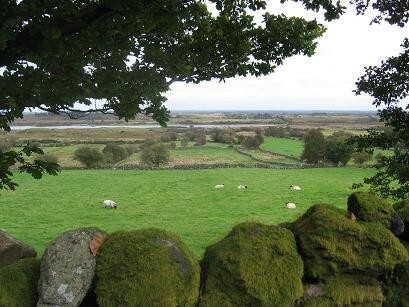 A townland in County Mayo, Ireland. Derreennascooba is situated on a hillside in the Partry Mountains, just south of Killavally (also called Killawala) and eight miles south of Castlebar. John was baptized on May 7, 1848, at St. Patrick’s Church in Killavally. His baptismal sponsors were Thomas Walsh and Catherine Foy. St. Patrick's Church is in the parish of Burriscarra and Ballintubber in the Archdiocese of Tuam. Nunda, New York, 1849-1853. Around 1849, at about age one, John's parents, Dominick and Anne, brought him to America. The U.S. flag had 30 stars, the most recent one being for Wisconsin. The President was Zachary Taylor. The 1850 census shows Dominick and Anne in Nunda, which is in Western New York State. Two construction projects were underway at that time: the 100-mile Genesee Valley Canal connecting the Erie Canal with the Allegheny River, and the Erie Railroad connecting New York City with Buffalo. In 1850, John's mother Anne died. His father Dominick married Mary Breen. Dominick and Mary provided John with a sister Mary, born in 1851. Chicago, Near North Side, 1853-1868. Sometime between 1851 and 1856, John's stepmother Mary died, and Dominick married Ellen Graham (1834-1900). Dominick and Ellen provided John with two half-sisters and one half-brother, all born in Chicago: Bridget in 1857, Margaret in 1859, and Thomas in 1862. 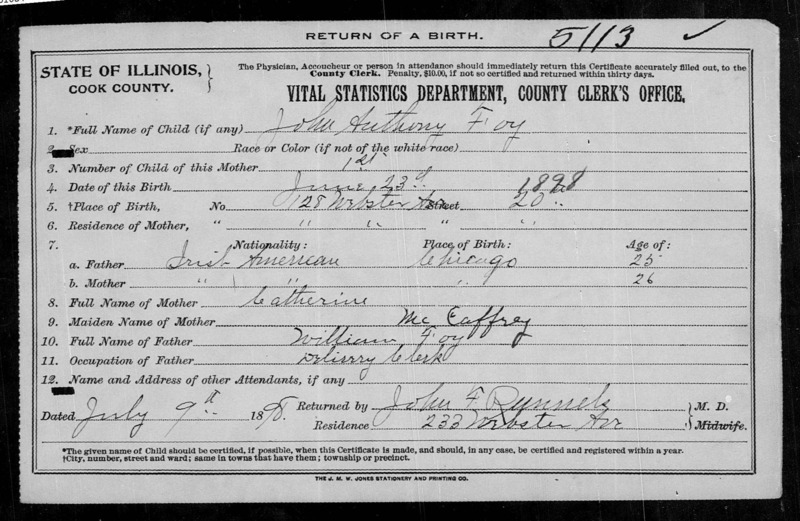 The 1860 census shows John's family living on the Near North Side of Chicago. 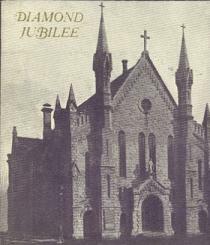 The 1866-69 Chicago directories show John's family living in Holy Name parish on the Near North Side at 56 Ohio Street (377 W. Ohio Street after 1909) in Chicago and working as a laborer. Utah, 1868-1869. 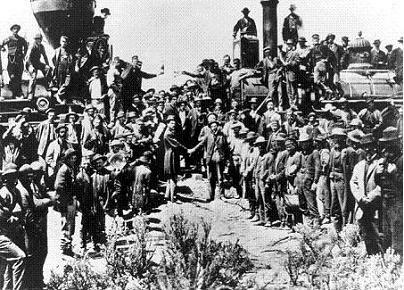 In the late 1860s, John worked for the westward-bound Union Pacific Railroad in the Wasatch Mountains in Wyoming and Utah building the first transcontinental railroad. He was present at the Golden Spike Ceremony at Promontory Point, Utah, on May 10, 1869. The new railway turned a four-month cross-country journey into a one-week trip. There are two stories about John and Indians out West. In one story, he rounded a boulder and came face to face with an Indian. They scared each other and ran in opposite directions. The other story is that John got sick and the Indians nursed him back to health. Chicago, Near North Side, 1869-1872. At some point, John returned to Chicago and married Mary Stanton. As indicated above, the 1870 census shows John living with his family on the Near North Side and working as a day laborer. The 1870 Chicago directory shows John's father Dominick still living in Holy Name parish on the Near North Side of Chicago at 56 Ohio Street (377 W. Ohio Street after 1909) in Chicago and working as a laborer. This area was in the path of the Chicago Fire that started at 9:30 p.m. on October 9, 1871, on the Near West Side, just north of where John's uncle Thomas Foy lived, and spread north and east. By 7 a.m. the next morning the fire reached the Near North Side where Dominick and his family lived. During the nine months that followed, the Relief and Aid Society provided assistance to virtually half the population of Chicago. Ireland, 1848-1864. Mary Stanton was born in Ireland in 1848. Her parents were William and Bridget O'Malley Stanton. Bridget was age 18 when Mary was born. According to the 1900 census, Mary was their only child. There were 67 Stantons in the 1857 Griffiths valuation. Of these, 53 were from County Mayo. The next highest county was Cork, with four. Chicago, Near North Side, 1864-1872. In 1864, at age 15, Mary emigrated to America. The U.S. flag had 35 stars, the most recent one being for West Virginia. The President was Abraham Lincoln. The country was in the middle of the Civil War. 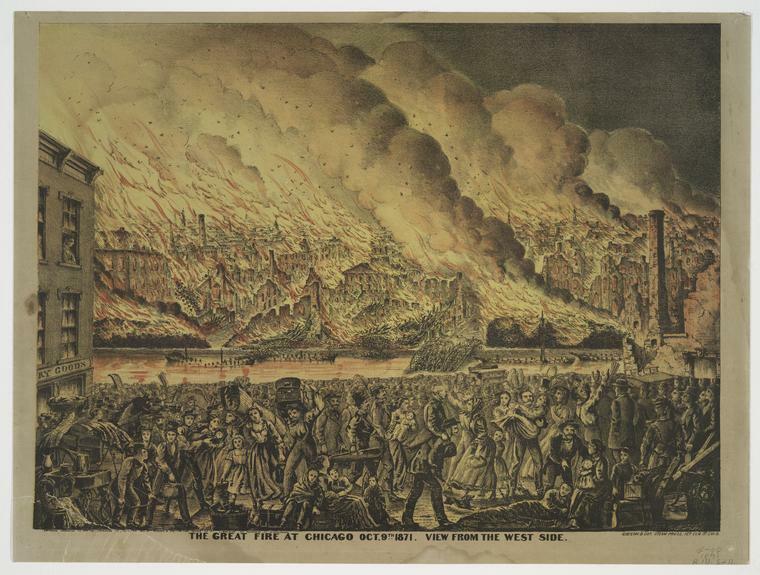 Chicago Fire, 1871. View from the West Side of the Chicago River. We are not sure where Mary lived between immigration and marriage. 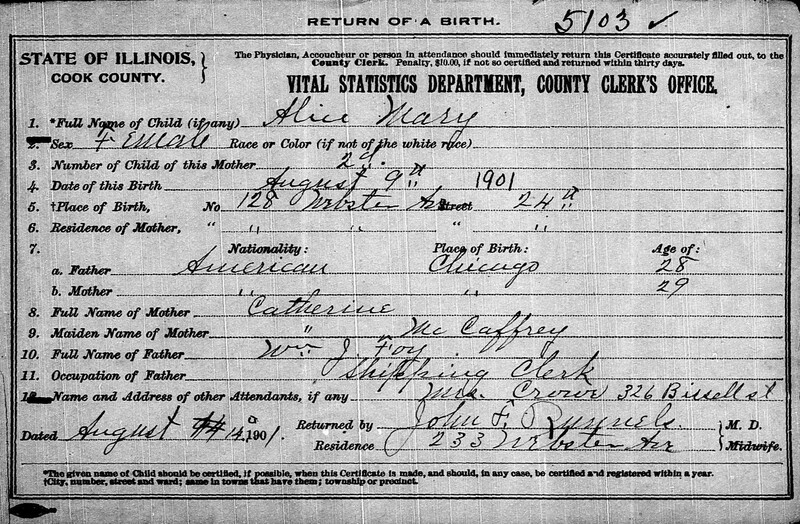 But, in the 1870 census, there was a Mary Stanton, age 22, Irish, working as a domestic servant and boarding with a family in the 19th Ward on the Near North Side of Chicago. The 19th Ward was bounded by Franklin Street on the west, Lake Michigan on the east, Division Street on the north, and Chicago Avenue on the south. This area was in the path of the Chicago Fire that started at 9:30 p.m. on October 9, 1871, on the Near West Side and spread north and east. By 7 a.m. the next morning the fire reached the Near North Side. Holy Name Cathedral was destroyed. 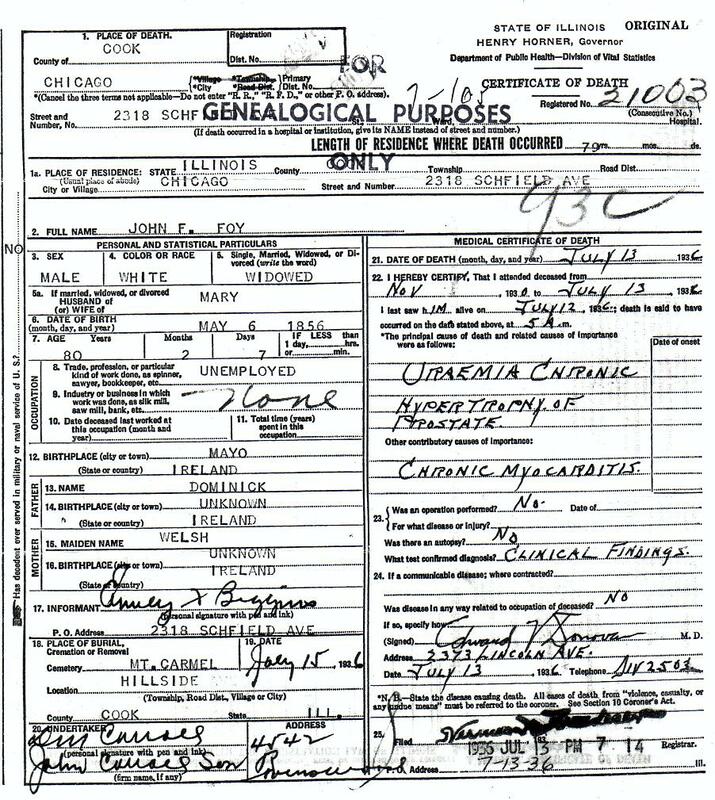 In 1872, Mary's parents, William and Bridget O'Malley Stanton immigrated to Chicago from Ireland. Perhaps they were able to attend their daughter's marriage to John Foy that year. 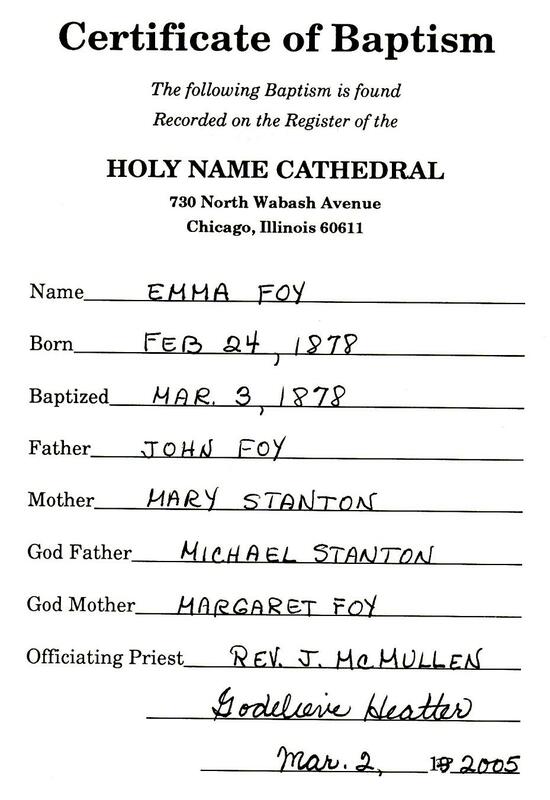 John F. Foy and Mary Stanton were married probably in 1872 and probably in Holy Name parish. The church was burned to the ground in the 1871 Chicago Fire, so the ceremony would have been at home or in a makeshift "shanty Cathedral," a boarded-up, burned-out house on Cass Street (now Wabash Avenue). The new cathedral was not dedicated until 1875. John and Mary each would have been age 24. Chicago, Near North Side, 1872-1883. 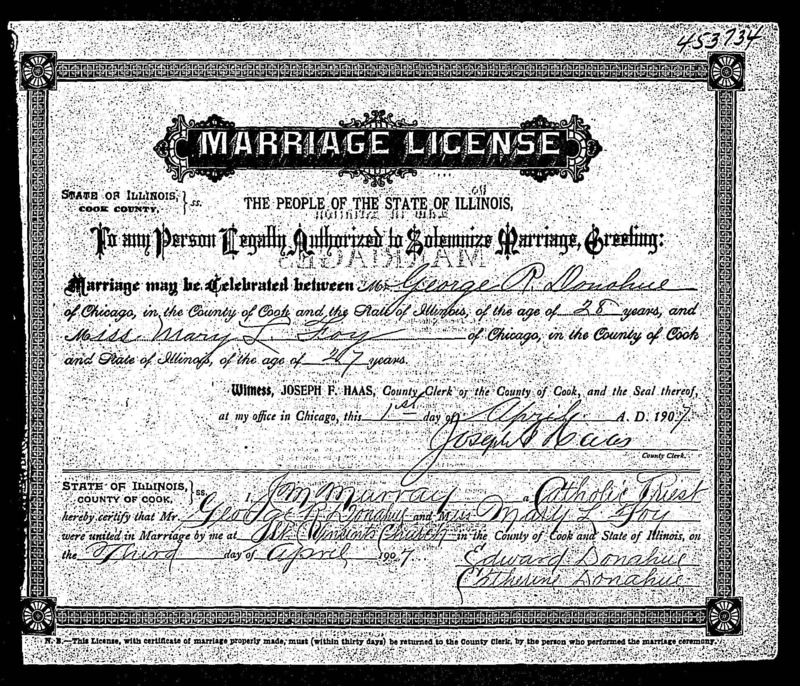 After their wedding, John and Mary lived in Holy Name parish in the rear of 279 N. Market Street (933 N. Orleans Street after renumbering in 1909 and a name change) on the Near North Side of Chicago. This was about six blocks west and north of Holy Name. The Chicago directories show them living at 279 Market from 1872 to 1878. John and Mary's first child, William, was born in 1873. John and Mary's second child, Emily Agnes, was born on February 24, 1878, and baptized on March 3, 1878, by Father John McMullen, vicar general of the diocese, at the new Holy Name Cathedral. The new cathedral had been completed in 1875. Pope Leo XIII named Father McMullen the first Bishop of Davenport, Iowa, in 1881. 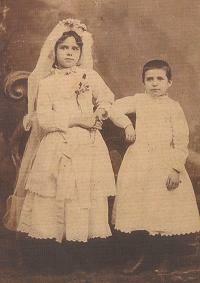 John and Mary's third child, Mary Louise, was born in 1879. Mary Louise was called Molly. In 1878 or 1979, John and Mary moved a short block north. The 1880 and 1881 directories show John and Mary living at the rear of 147 Oak Street (354 W. Oak Street after 1909). The 1882 directory shows them living 1.3 miles south and east at 247 Michigan Street (42 E. Hubbard Street after renumbering in 1909 and a name change). St. Mary's Church, where Emily received her First Communion in 1886. Built at Eldredge Place (9th St.) and Wabash in 1872 to replace the church destroyed by the Chicago Fire. 1908 photo. Emily's First Communion, with Molly, 1886. Large image. Chicago, Loop, 1883-1892. The 1883 to 1890 directories show John and Mary living in what is now called the "Loop" at 78 Pacific Avenue (502 S. LaSalle Street after renumbering in 1909 and a name change). This was in St. Mary's parish. They moved a mile south and a couple blocks west. There were two years, 1883 and 1889, when the address was 80 Pacific instead of 78 Pacific. John's occupation during these years on Pacific Avenue was foreman. Emily and Molly received their First Communion at St. Mary's. Chicago, Lincoln Park, 1892-1920. The 1892 directory shows John and Mary living in the Lincoln Park section of Chicago at 144 Osgood Street (2053 N. Kenmore Avenue after renumbering in 1909 and a name change). This was three miles northwest of where they lived in the Loop. It was in St. Vincent's parish, a block and a half south of St. Vincent's Church, which at the time consisted of a small brick combination building. 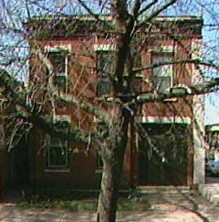 In 1893 John and Mary moved to one of two adjoining buildings that John constructed at 1410 and 1412 Dunning Street (952 and 950 W. Altgeld Street after 1913). This was less than a mile north of 2053 Kenmore. The buildings had two floors, with one apartment on each and shared a common wall. Both buildings have been torn down, the last, in 2005, was 952 Altgeld. Genevieve Gier Donahue and James and Patricia Donahue Schwake were the last to live in 952 Altgeld. In 1893, construction started on the elevated line that would run down the alley between Sheffield and Bissell, a half block west of 950-52 Altgeld. In 1900, elevated trains began operating from the Loop to Wilson Avenue, with a stop at Fullerton and Sheffield. Old photo of St. Vincent de Paul Church and College, built in 1897 to replace the original 1876 church, a small brick combination building. 1894 Sanborn map of 1400 to 1416 Dunning Street, including 1410 (952 Altgeld) and 1412 (950 Altgeld). 952 W. Altgeld Street, 2000. The Foy family and descendants lived there 112 years. The Vincent Donahue family sold the building in 2005. It was torn down and replaced with a three-story condominuim. 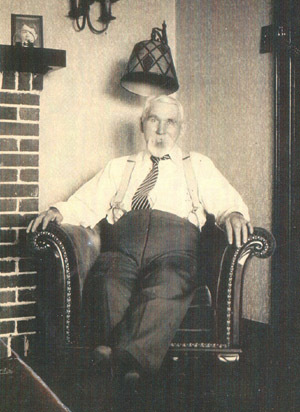 From 1898 to 1909, age 50 to 61, John was listed in the city directories as a contractor. From 1910 to 1912, age 62 to 64, he was listed as an excavating contractor. Emily Foy graduated from Lake View High School, probably starting in 1892 and graduating in 1896. The school is 2.3 miles north and west of 950 Altgeld at 4015 N. Ashland Avenue. 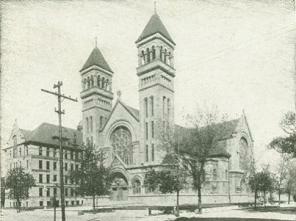 In 1897, a new St. Vincent's Church was completed. There were few churches that could rival it in grace or architecture. It survives to this day, surrounded by DePaul University. In 1897, William, a traveling salesman, married Catherine McCaffery. They lived at 128 Webster (1252 W. Webster Avenue after 1909) and had two children: John Anthony Foy in 1898 and Alice Mary Foy in 1901. In 1900, Emily married Leslie Biggins at St. Vincent's church. Leslie was a bookkeeper for the Garden City Sand Company. They lived several places before moving in 1905 to 950 Altgeld Street, above John and Mary. They had five children: Kathleen Biggins in 1902, Emily Biggins in 1905, Philip Biggins in 1908, John Alfred Biggins, and Richard Biggins in 1913. In 1900, John's stepmother, Ellen Graham Foy, died. In 1901, his father Dominick died. Both are buried at Calvary Cemetery in a plot purchased in 1867 by Dominick’s brother Thomas (Section D, Block 6, Lot 28). In 1902, William Foy died when he was only 28, leaving his wife Catherine and two small children. He was buried in a plot purchased by his father at Mount Carmel Cemetery. The plot is in Section B, Block 2, Lot 19. Catherine moved to 133 Racine (2140 N. Racine Avenue after 1909). In 1912, they moved to 1624 Edgewater (1624 W. Gregory Street after 1913). In the 1940 census, Catherine was a widow, age 65, still living with her two children, both unmarried. They lived at 6419 N. Magnolia Avenue in Chicago. John Anthony, 43, was an assistant manager at a bank. Alice, 38, was a public school teacher. Catherine died in 1966. John Anthony in 1976, and Alice in 1989. 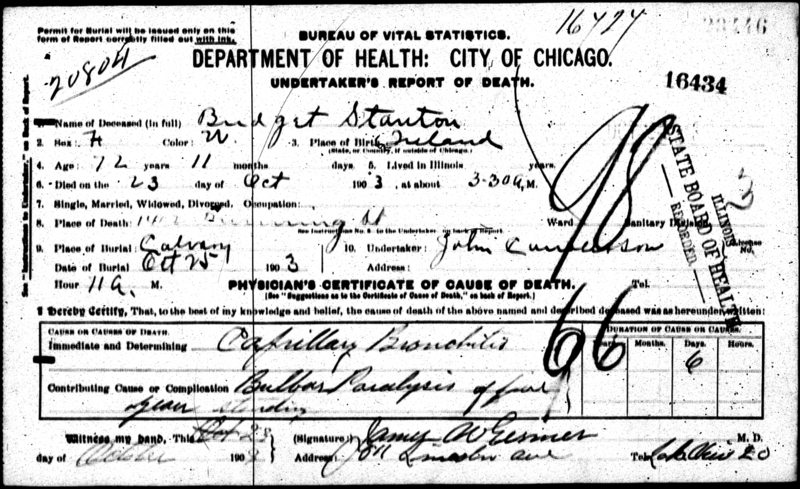 On October 23, 1903, Mary's mother, Bridget O'Malley Stanton, 72, died of capillary bronchitis. 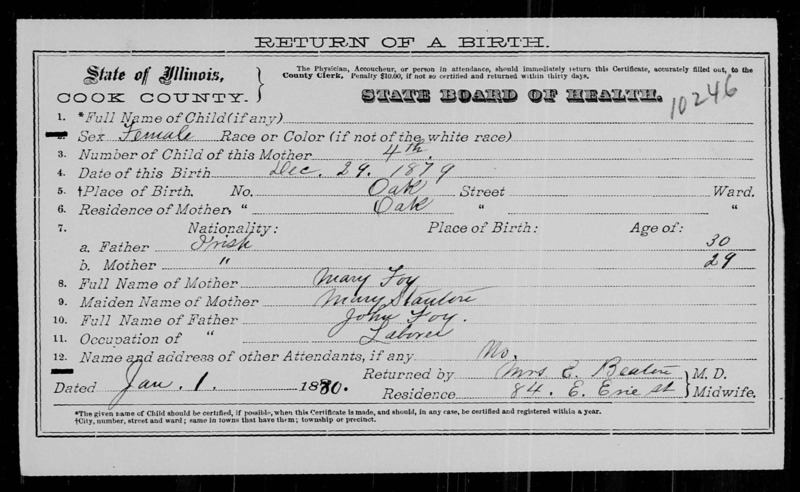 At that time and in the 1900 census, Bridget was living with John and Mary Foy on Altgeld Street. Bridget had been a widow for 30 years. 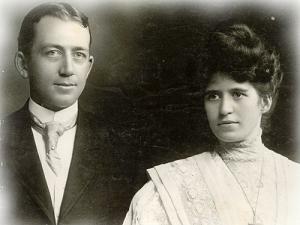 George & Molly Foy Donahue. 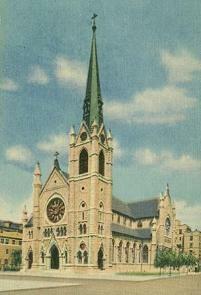 In 1907, Molly married George Robert Donahue at St. Vincent's Church. George was a police officer for the City of Chicago in the Traffic Division. He had enlisted in the Army for three years from 1903 to 1906. He was born in a farm in Bear Creek, Sauk County, Wisconsin, that his father had bought in 1848. He was a farmer before enlisting in the Army. George and Molly lived at 1048 Grace Street (1310 W. Grace Street after 1909) for two years. In 1909, they moved to 952 Altgeld Street, where sons George Robert ("Bob") and Vincent were born. In 1912, they moved to 2846 W. Washington Boulevard in St. Matthews Parish in Garfield Park, where sons William and John were born. William died in 1914. In the 1915 to 1917 directories, they were living in Lake View at 744 W. California Terrace, where son Donald was born. 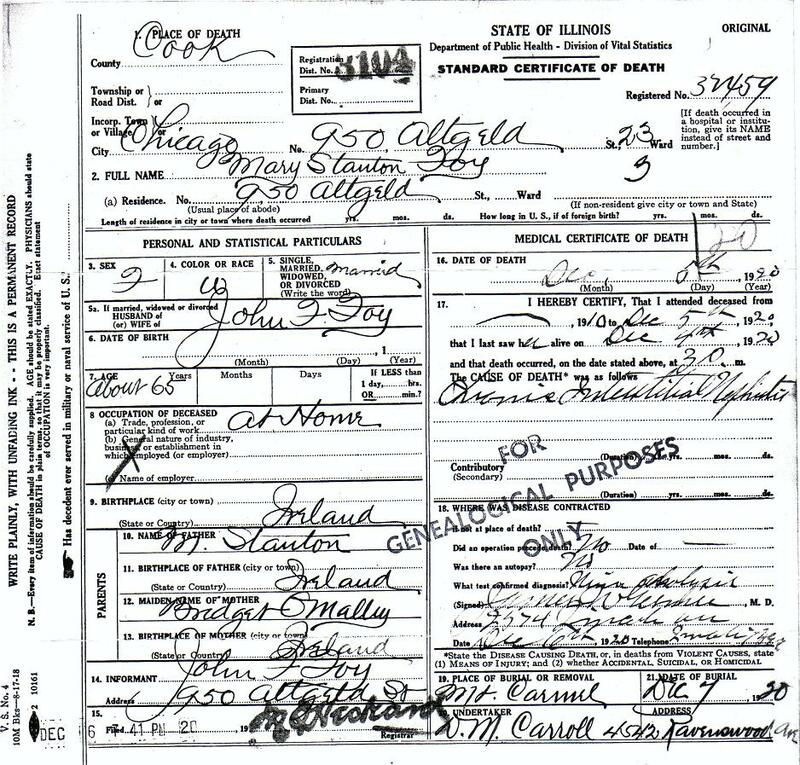 On George's 1918 draft registration, they were living a few blocks from Altgeld Street at 1126 W. Montana Street. In the 1920 census, they were living at 1131 W. Montana Street. In the 1923 and 1928 directories, they were living back on Altgeld Street. In the 1930 census, they were living in Rogers Park at 1745 W. North Shore Avenue. In 1907, John's half-brother Thomas Foy, age 45, died at the residence of his sister, Bridget Foy Rowland, 129 Chestnut Street (354 W. Chestnut Street after 1909). Following a funeral Mass at St. Dominic's Church, he was buried with his parents at Calvary Cemetery in Dominick’s brother Thomas' plot (Section D, Block 6, Lot 28). 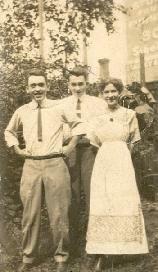 John, Joseph, and Helen Kane. In 1910, John's half-sister, Margaret Foy Kane, a widow age 45, died leaving three children: Helen, age 21; John, age 19; and Joseph, age 18. 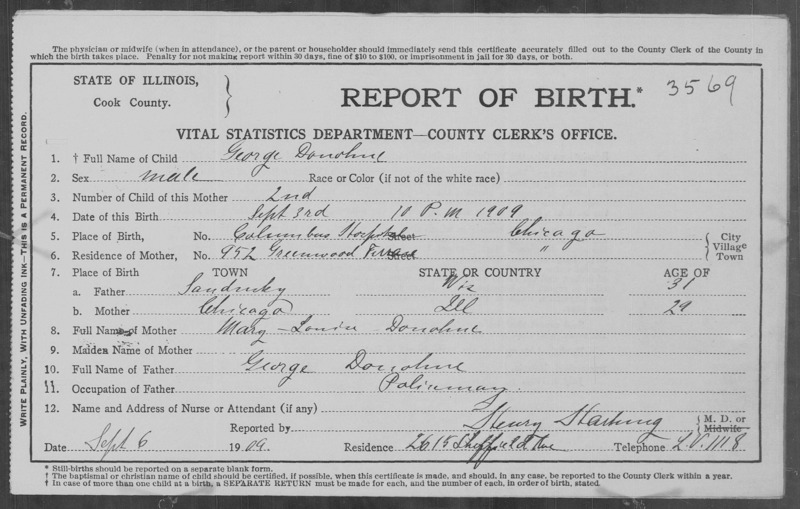 The children's father, Patrick Kane, had died in 1892 at age 29, shortly after they were born. The 1910 census shows Helen living with her uncle and aunt, John and Mary, and John and Joseph living with their cousin Molly and her husband George--all on Altgeld Street. Helen went on to marry Rufus Minogue in 1913 (their grandson Rev. John P. Minogue would become president of DePaul University). Joseph married Marie Uttich in 1918. John married Bridget Agnes Dougherty in 1929. In 1911, John's half-sister Mary Foy, age 50, died of breast cancer at the residence of her sister, Bridget Foy Rowland, 355 W. Chestnut Street. Following a funeral mass at St. Dominic's Church, she was buried at Calvary Cemetery. In 1914, John built an apartment building at 1035-41 W. Byron Street, two blocks north of Wrigley Field. The building permit was taken out in the names of daughters Emily Foy Biggins and Molly Foy Donahue. The building has the name “Foy” in raised letters over its two entryways. It was listed in the 1923 city directory as the Foy Apartments. The building now is owned by a Gerry Morrissey who bought it in the 1980s. For tax purposes, the address is 3846 N. Kenmore Avenue. Wrigley Field was built in the same year as the Foy Apartments. Wrigley Field is the second-oldest ballpark in the majors behind Boston's Fenway Park (1912). The Cubs played their first game at the park in 1916. Originally known as Weeghman Park, the park became known as Cubs Park in 1920 after the Wrigley family purchased the team from Weeghman ... it was named Wrigley Field in 1926 in honor of William Wrigley Jr., the club's owner. Foy Apartments in red and Wrigley Field in blue. Both built in 1914. On October 16, 1918, grandchild Emily Biggins died at age 13 from the Spanish influenza epidemic. She was buried in the Foy plot at Mount Carmel Cemetery: Section B, Block 2, Lot 19. John was widowed at age 72 on December 5, 1920, upon the death of his wife Mary. They had been married 48 years. Chicago, Lincoln Park, 1920-1936. 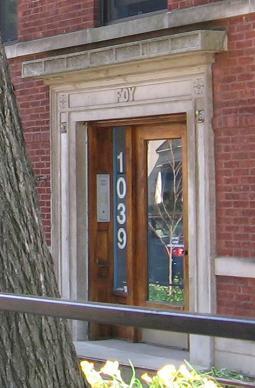 John continued to live at 950 Altgeld Street. In 1925, Leslie and Emily Foy Biggins built the University Court Apartments at 2318 N. Sheffield Avenue. The new building was just a few blocks south of Altgeld Street. Leslie and Emily moved to the University Court Apartments, while John Foy stayed at Altgeld Street with the Donahues. The architect for the University Court Apartments on Sheffield was the same as for the Foy Apartments on Byron Street. 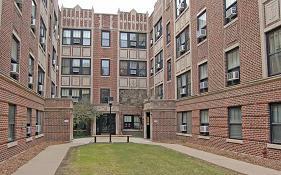 The University Court Apartments are now the Sheffield Square Apartments of DePaul University, having been purchased in 1994 by Rev. John P. Minogue, then president of the University and grandson of John Foy's niece Helen Kane Minogue. At some point between 1926 and 1928, John moved from 950 Altgeld Street to 2318 Sheffield. Sheffield Square Apartments, 2006. Source: DePaul University. Built by Leslie and Emily Foy Biggins in 1925 and called University Court Apartments. Between 1924 and 1927, four of John's grandchildren studied to be a Vincentian priest after graduating from grammar school at Saint Vincent DePaul Parish: Al and Richard Biggins and Vincent and John Donahue. The first step was minor seminary at St. Vincent’s College in Cape Girardeau, 115 miles south of St. Louis on the Mississippi River. Al Biggins and John Donahue went on to study at the major seminary, St. Mary of the Barrens in Perryville, 40 miles northwest of Cape Girardeau. None of them ever became priests. Their second cousin's son, John P. Minogue, however, did become a Vincentian priest and ultimately President of DePaul University from 1993 to 2004. The Vincentian Weekly, the parish bulletin of St. Vincent's Church, contained a mention of John Foy on Sunday, January 24, 1926, the Third Sunday after the Epiphany. In an article on the progress of the $10,000 Jubilee Fund for the school and convent, it says that "Mr. John Foy of Altgeld Street came in with his donation some days ago. Mr. Foy has been in the parish since 1893, living for a time on Osgood Street. He is numbered among the most loyal parishioners, genial and generous. His contribution is made in memory of his departed wife, Mary Stanton Foy." Mary Stanton Foy died at home at 950 Altgeld Street on December 5, 1920. The cause was chronic interstitial nephritis. She was 72 years old. She left her husband and two daughters, Emily and Molly. After solemn high requiem mass at St. Vincent's, Mary was buried in Mount Carmel Cemetery in Section B, Block 2, Lot 19. She was buried next to her son William, her granddaughter Emily Biggins, and two infant Donahues. FOY—Mary Stanton Foy, Sunday, Dec. 5, at her home, 950 Altgeld-st., beloved wife of John F. Foy, mother of William, deceased, Mrs. Leslie Biggins and Mrs. George R. Donahue; solemn requiem mass at St. Vincent’s church, Tuesday, Oct. 7, at 10:30 a. m.; interment Mount Carmel. 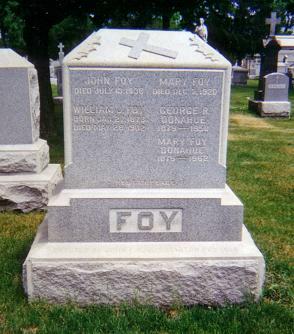 Foy Tombstone, Mount Carmel Cemetery. After 16 years as a widower, John F. Foy died at home at 2318 Sheffield Avenue on July 13, 1936. The cause of death was chronic uremia. He was buried at Mount Carmel Cemetery next to his wife Mary in Section B, Block 2, Lot 19. John F. Foy, husband of Mary Stanton, father of William, deceased, Mrs. George R. Donahue and Mrs. Leslie Biggins. Funeral Wednesday, July 15, at 9:30 a.m. from his home 2318 Sheffield Avenue, to St. Vincent de Paul church. Burial Mount Carmel Cemetery. A month and a half later, John's half-sister Bridget Foy Rowland died at age 79. She died of myocarditis when she slipped and fell in her home at 6527 N. Greenview Avenue. 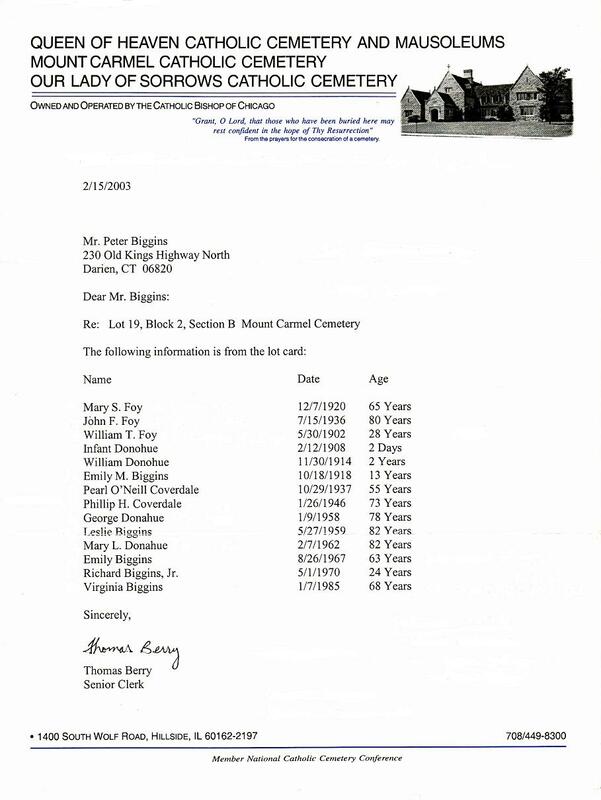 Following a funeral mass at St. Ignatius church, she was buried at Calvary Cemetery with her husband Thomas Rowland in Section M, Block 5, Lot 37.